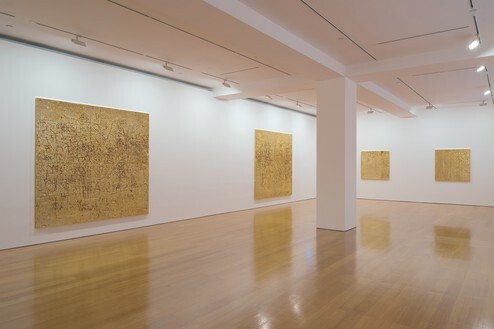 Gagosian Hong Kong is pleased to present recent paintings by Rudolf Stingel. 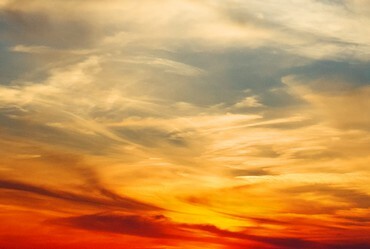 This will be his first major exhibition in Asia. 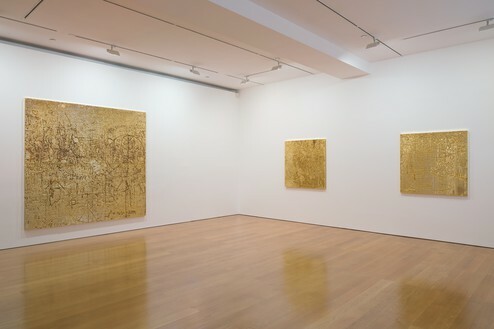 Over the past twenty years, Stingel has examined the nature of memory while expanding the scope and definition of painting. 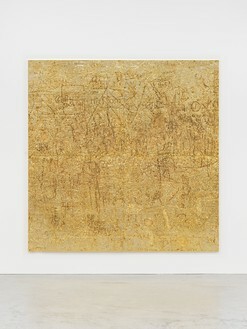 Echoing Albrecht Dürer’s Painter’s Manual of the sixteenth century, he produced Instructions in 1989, a booklet illustrating how to create a Rudolf Stingel painting, which anticipated an ongoing investigation into the relationship between artist and artwork. 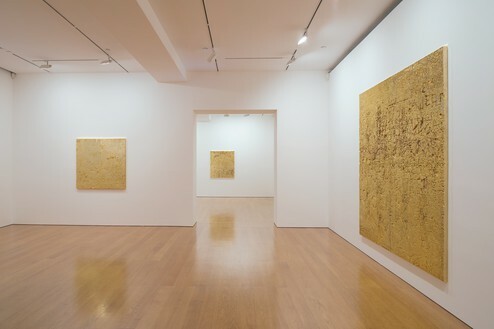 Central to his oeuvre is his palpable rendering of the passage of time, together with his efforts to expand the vocabulary of painting: from the abstract silver tulle paintings of the 1990s to the floor and wall carpet installations, from the melancholic self-portraits to the vast golden canvases that bear the traces of time and action in the studio. 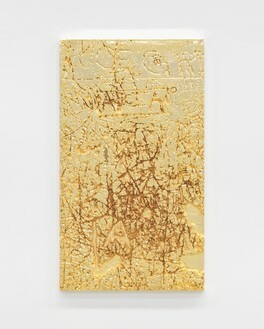 Stingel’s recent panel paintings are a new form of opulent abstraction born out of humble materials and banal gestures. 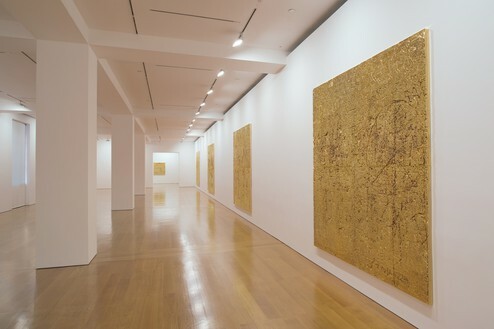 The current works derive from his environmental installations at the Museum of Contemporary Art in Chicago and the Whitney Museum in New York in 2007. 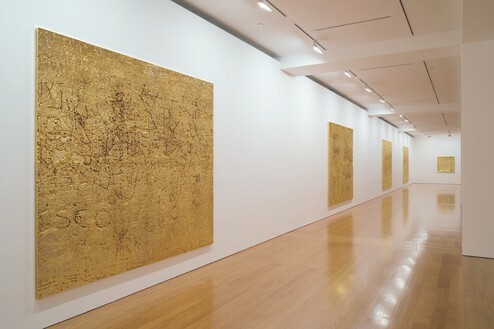 In each of these participatory works, he transformed the exhibition space by covering the walls in a layer of reflective aluminum-faced Celotex (among the first Celotex installations were those presented at the Museo di Arte Moderna e Contemporanea, Trento, Italy, in 2001 and the Venice Biennale in 2003). 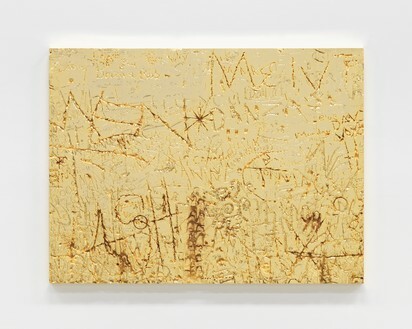 Viewers could scratch, write, and mark the pristine surface at will, their individual traces accumulating into a mass of anonymous marks. 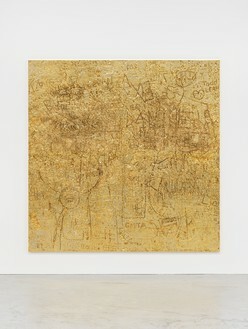 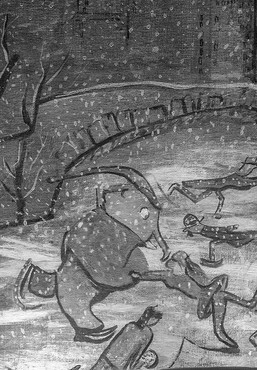 Casting and plating large sections of the graffiti-covered insulation panels, Stingel has produced sumptuous works that memorialize the effects of time. 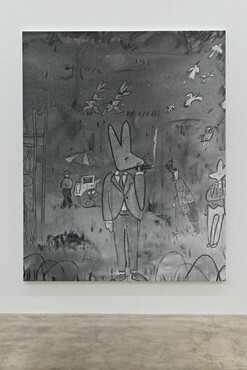 The works in the current exhibition are selected fragments of the inscribed walls cast in copper using a procedure that captures even the faintest surface detail. 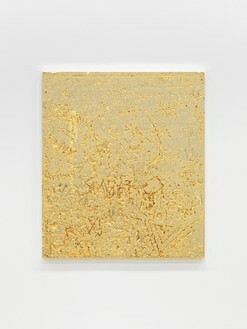 The cast base is then electroplated with gold, an alchemical transformation that imbues common graffiti with a new, anonymous, and eternal abstract beauty. 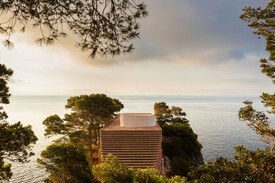 In July 2017, a special installation of paintings was shown at Casa Malaparte, Capri, the famous house built by the author, publisher, diplomat, and filmmaker Curzio Malaparte.